Enjoy / Grow - Case Study - Branding, Web Design, Interior Design Studio in Richmond Virginia — Campfire & Co. ENJOY: is a meeting space and lunch room for the digital agency Grow by day and in the evenings transforms into a pop-up venue that hosts creative events for chefs, artists, and entrepreneurs to share their creative passions with the community. Nearly every element in the ENJOY: space needed to be movable or reconfigurable. 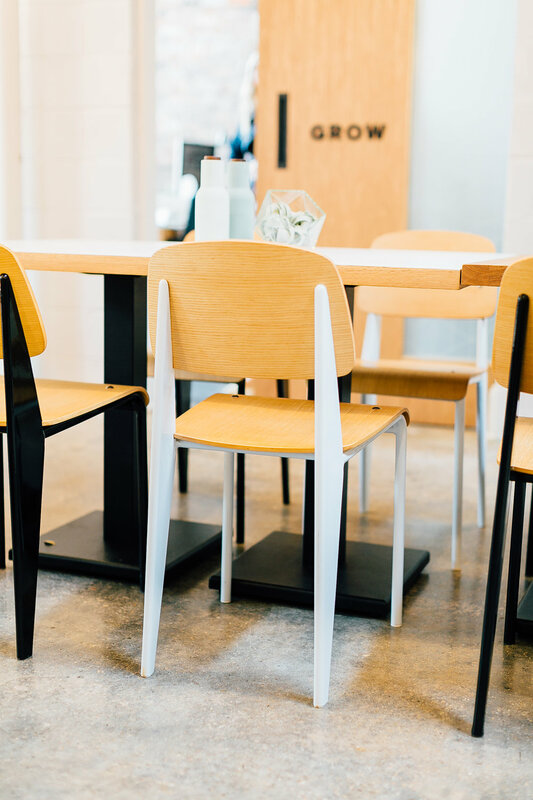 A changeable signage and shelving display, an interlocking and movable bar and storage, a custom snack cabinet, and a one of a kind industrial light fixture were all designed specifically for the needs of the Grow team.